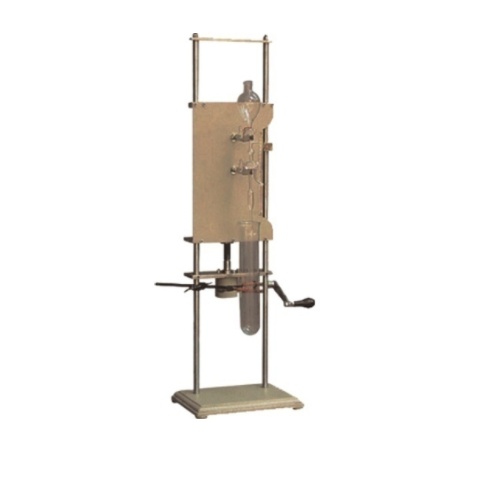 The specimen is held in circular jaws, this is primarily similar to a compression Machine and consists of a small load frame having a sturdy base with two vertical threaded rods and an adjustable crosshead. The hydraulic jack is fitted at the center of the base of the load frame. The jack of the load frame is self-retracting and two plain platens are supplied. 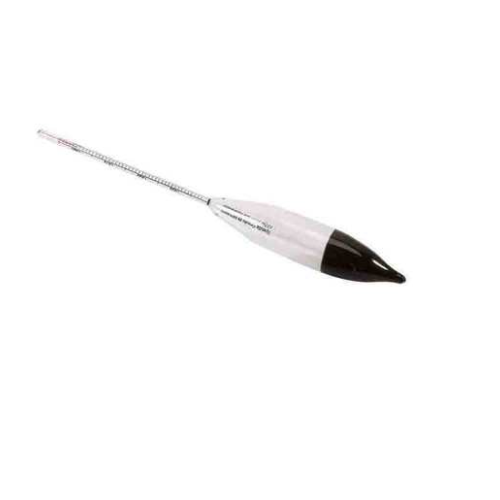 A maximum pointer is also provided on the gauge a pair of semi-circular platens for 50mm dia, samples also provided. This instrument can be used in the field also. Optional Extras: Pairs of jaws for sample dia. (a) 60mm (b) 70mm (c) 80mm (d) 90mm (e) 100mm. Similar to above but supplied with bench mounting type 5000kgf. Capacity load frame motorized, in place of load frame hand operated. The lead screw of the load frame has a single constant rate of travel of 1.25mm/minute. 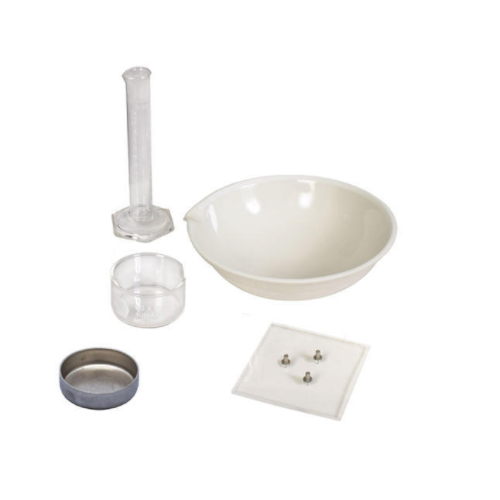 Accessories for Laboratory C.B.R. 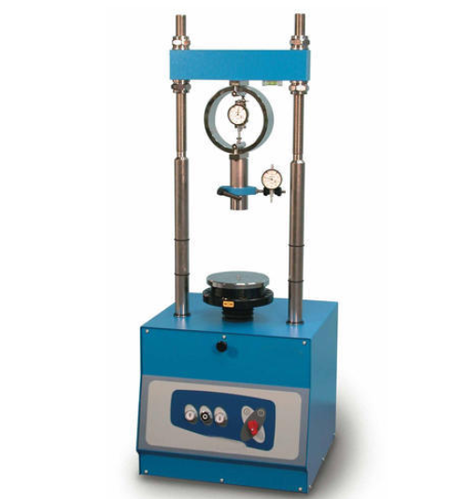 Apparatus: High sensitivity proving ring 300kg. capacity with calibration chart and carrying case. Dial Gauges, 2Nos. 01mm x 25mm. Annular metal weight 5kg 147m dia. with 53mm Dia. central hole. 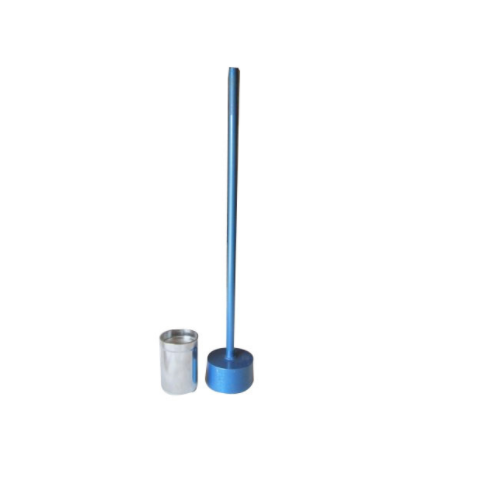 Slotted metal weight, 5kg. 147mm Dia. with 53mm dia, slot. Note: Proving Rings of other capacities are also available. Consolidation test is unidimensional test considered extremely important in soil mechanics. Sample taken from adjacent areas of a single site show different settlement even when tested using same techniques. The soil of similar strength may show varying consolidation. Samples are very carefully prepared and vertical settlement of the specimen in saturated or drained conditions carefully recorded when known load is applied. Product Details: The standard outfit comprises of the following items. Loading unit, maximum capacity 20 kg/cm sq. having a loading yoke connected to a lever arm with a counterbalancing adjustment and having a lever ratio of 1:1, the whole assembly being mounted on a sturdy steel frame stand. The loading unit is so designed that it can be used for consolidation cells of different diameters as well as different dia floating ring type consolidation cells. Fixed ring type consolidometer (Odometer) cell assembly for testing 60mm Dia. x 20mm thick specimen comprising: Fixed ring for specimens 60mm x Dia. 20mm. thick with guide ring. Top and Bottom Porous stones for 60mm Dia. specimens. Perforated Pressure pad, Channelled base with water inlet and Gasket. Flanged Water Jacket, water reservoir with a plastic tube and pinchcock. Set of weights to give a pressure of 10kg/cm.sq. on 60mm Dia. the specimen, comprising: 7nos. 0.05 kg/sq.cm., 5Nos. 0.1 kg/sq.cm., 6Nos. 0.2kg/sq.cm. and 5 Nos. 1.0kg/sq.cm. Supplied complete as above but without dial gauge. Accessories: Dial Gauge 0.002mm x 10mm. Extension piece, 40 mm long. Test forms pad of 50 for Consolidation Test Plot” Test forms pad of 50 for one Dimensional Consolidation. Optical Extras: Varying head stands pipe, 50cms. Long with mm.scale. Fixed ring type of consolidometer (Odometer) cell assembly for 50mm Dia. x 20 mm thick specimens complete with fixed ring guide ring, pair or porous stones, perforated pressure pad, channeled base, gasket, and flanged water jacket. 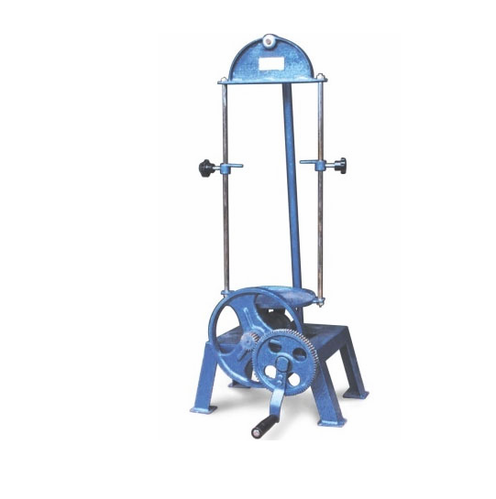 Set of weights to give a pressure of 10kg/sq.cm., on 50 cm. dia specimens. Fixed ring type of consolidometer (Odometer) cell assembly for 70mm Dia. x 20 mm thick specimens complete with accessories as above. Set of weights to give a pressure of 10kg/sq.cm on 70mm. dia. specimen. Fixed ring type of consolidometer (Odometer) cell assembly for 100 mm Dia. x 25 mm thick specimens complete with accessories as above. Set of weights to give a pressure of 10kg/sq.cm.on 100 mm Dia. specimens. It can be used for consolidation cells of different diameters as well as different dia floating ring type consolidation cells. Fixed ring type consolidometer (Odometer) cell assembly for testing 60mm Dia. x 20mm thick specimen comprising: Fixed ring for specimens 60mm x Dia. 20mm. thick with guide ring. Top and Bottom Porous stones for 60mm Dia. specimens. Perforated Pressure pad, Channelled base with water inlet and Gasket. Flanged Water Jacket, water reservoir with a plastic tube and pinchcock. Set of weights to give a pressure of 10kg/cm.sq. on 60mm Dia. the specimen, comprising: 7nos. 0.05 kg/sq.cm., 5Nos. 0.1 kg/sq.cm., 6Nos. 0.2kg/sq.cm. and 5 Nos. 1.0kg/sq.cm. Supplied complete as above but without dial gauge. Accessories: Dial Gauge 0.002mm x 10mm. Extension piece, 40 mm long. Test forms pad of 50 for Consolidation Test Plot” Test forms pad of 50 for one Dimensional Consolidation. Optical Extras: Varying head stands pipe, 50cms. Long with mm. 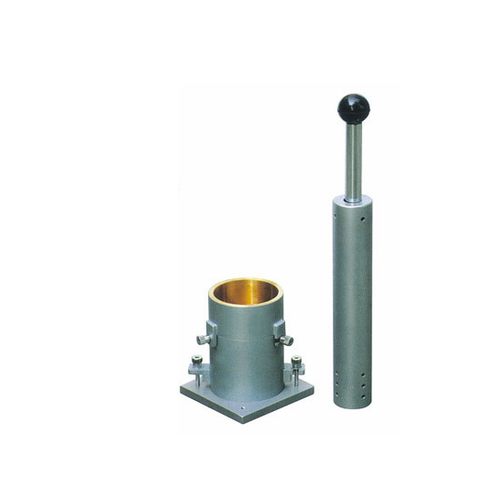 This is used for determination of in situ dry density of natural or compacted fine-grained soil, free-form aggregates. 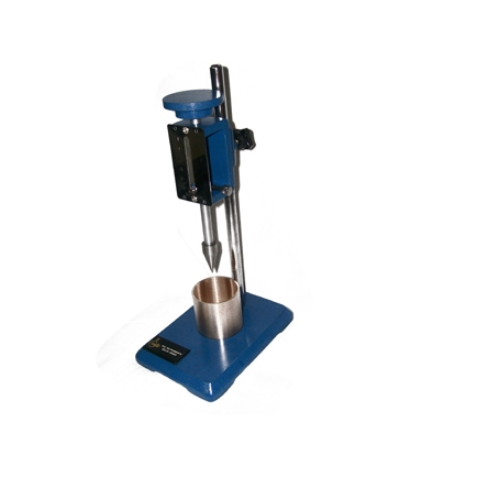 A cylindrical cutter is used to extract a sample of the soil with the help of a dolly and rammer. From the weight, density and the moisture and dry density of the soil is readily calculated. Product Details: The apparatus consists of a sliding panel which moves up and down by means of a screw allowing Anderson pipette fixed to it tube raised or lowered vertically. A sedimentation tube is held by a Laboratory clamp provided on the stand below the pipette. The depth of immersion is measured by a scale graduated in mm at the side of the sliding panel. Supplied complete with Anderson pipette 10ml. 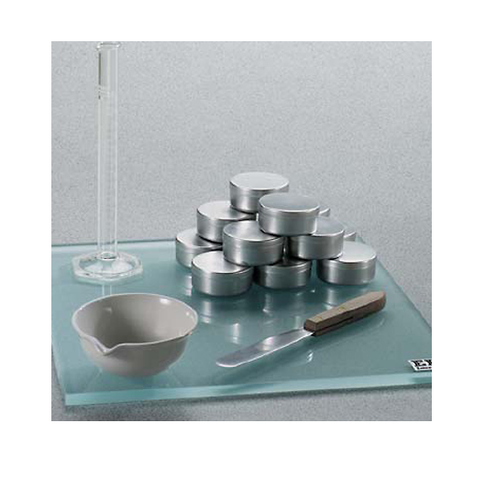 at eh side capacity made from glass, and a sedimentation tube also of glass of 500ml capacity and 50 Nos Test forms. 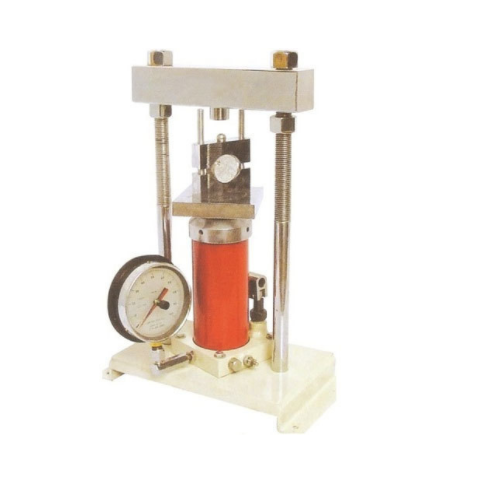 This apparatus is used for the in-place determination, of the dry density of compact, fine and medium grained soils and for layers not exceeding 50cm thickness. 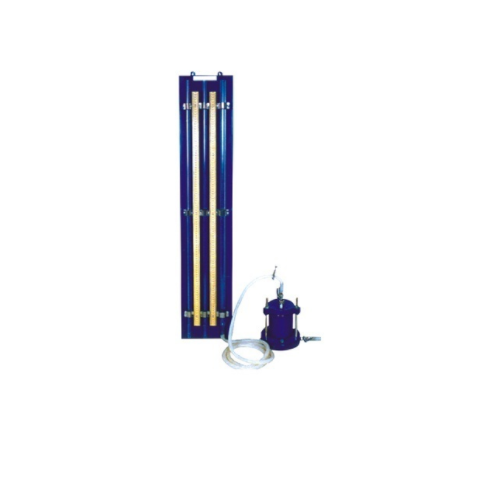 Product details: The complete apparatus consists one each of Small Sand Pouring cylinder, 3-liter capacity, fitted with conical funnel and shutter. Cylinder calibrating container, internal dia. 10 cm and internal depth 15cm, fitted with a flange, Metal tray, 31cm. square and 4 cm deep with cm dia. hole in the centre. Shrinkage Limit Set is the maximum water content at which a reduction in water content does not cause an appreciable reduction in the volume of the soil mass. At shrinkage limit, on further reduction in water, air enters into the voids of soils and thus keeps the volume constant. 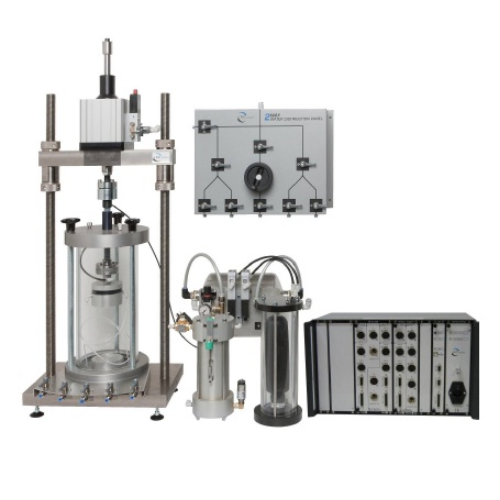 The apparatus can be used to determine shrinkage limit and to calculate other shrinkage factors like shrinkage ratio, shrinkage index, and volumetric shrinkage. 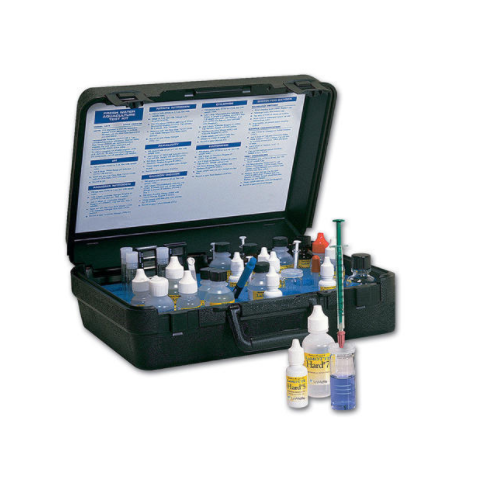 A very useful kit to determined on the spot soil pH value. This is a compact kit easy to carry on site. 1 bottle of soil indicator (100gm) 1 bottle of distilled water (500gm) 1 Spatula, 1 color chart, range 4.0 to 8.0 pH in 0.5 pH steps. Complete with carrying case. 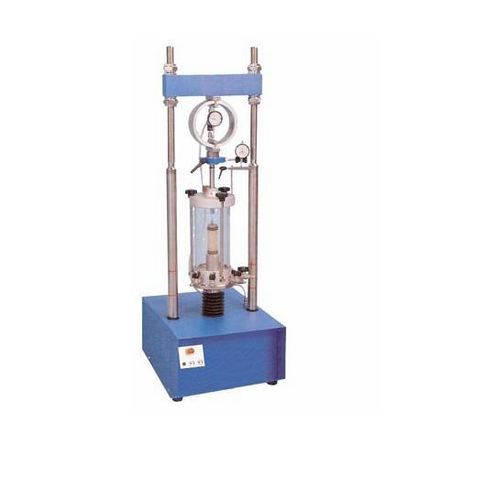 Spring type unconfined Compression Testing Apparatus can be used either in a Laboratory or in field. This apparatus is as per the design of Building Research Station, U.K. 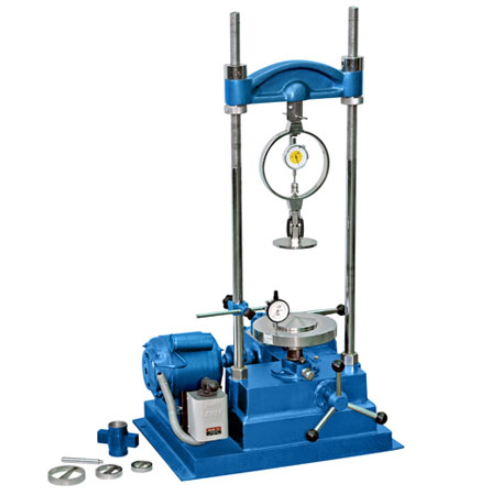 Specifications: Consists of a spring operated load frame with arrangements for loading 38mm x 76mm samples, one set of four load springs of stiffness 0.2kg, o.4kg, 0.8kg and 1.6kg/mm, a calibrated mask and one set of 50 charts, in a metal carrying case. Spares & Accessories: Charts set of 50 Calibrated mask. 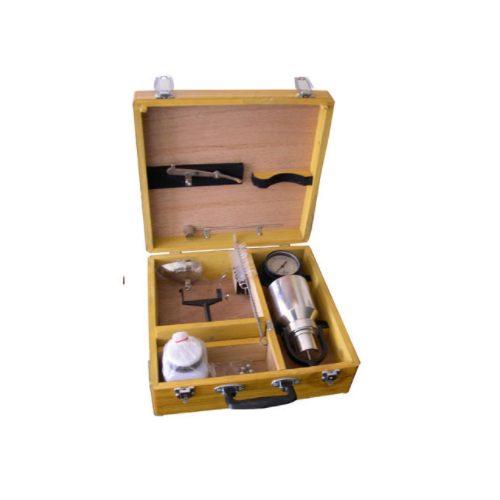 Spring set comprising one each of stiffness 2N/mm, 4N/mm, 8N/mm and 16Nmm Coning toll for 38mm sample (female) Coning toll for 38 mm sample (male) Tripod stand wooden, for using the instrument in field. Same as above but designed to with-stand 20kg/cm2 fluid pressure. The Perspex chamber is reinforced. 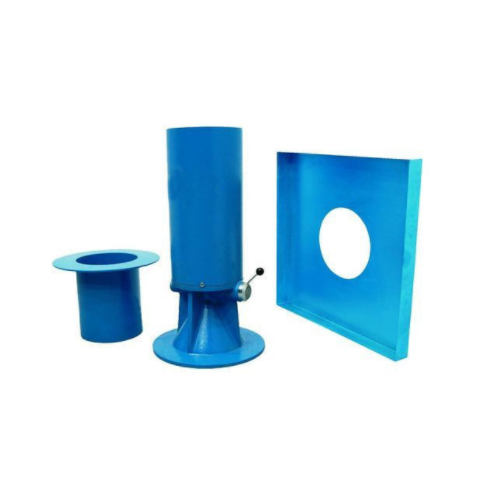 Accessories for Triaxial Cells: Three part split mold 38mm Dia. with collar, base plate and hinged clamp. End former for 3mm bore polythene tubes, 4mm O.D. Three-part split mold 50mm Dia. with collar, base plate and hinged clamp. Three-part split mold 75mm Dia. collar, base plate, and hinged clamp. Three-part split mold 100mm Dia. collar, base plate, and hinged clamp. Spares for Triaxial Cells: Porous stones for 38mm, 50mm, 75mm & 100mm Dia. specimen. Set of 'O' rings for 38mm, 50mm, 75mm & 100mm Dia. Specimen. Plain Perspex pads for 38 mm, 50mm, 75mm & 100mm Dia. specimen. Polythene tubing 2mm bore, 4mm O.D. Moisture contents at which soil has the smallest plasticity is called limit. For determination purpose plastic limit is defined as the water content at which a soil will just to crumble when rolled into a thread of 3mm. dia. 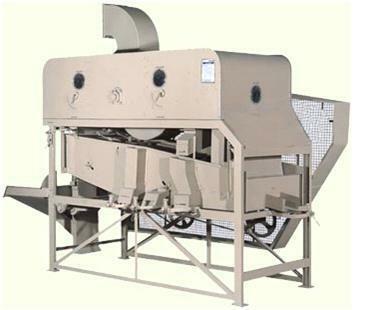 This is all light, portable but sturdy sieve shaker suitable for bench mounting. 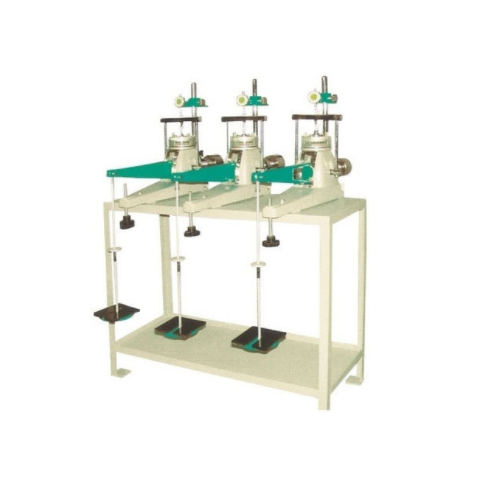 Triaxial Shear Test Apparatus (Hand Operated).